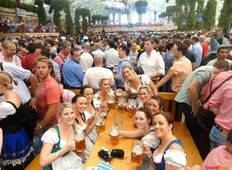 Up to 15% off oktoberfest trips. 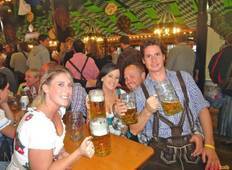 Have your choice of more than 7 Oktoberfest tours, many with impressive discounts that will save you up to $310. "It's definetely my favourite festival in Europe and I had a great time with Travel..."
"awesome. can't wait to go again this year !!" "it was a great trip, nice to meet people before going into the tents at oktoberfest...."
"I had an awesome time at the Oktoberfest! Thank you Kiddie for your knowledge, guidance..."